No matter if it’s summers, winters or monsoons, one glorious piece of art that always shines in a house is an element of classic wood. Adding textures of wood to your home is a subtle way of adding harmony to your interiors. 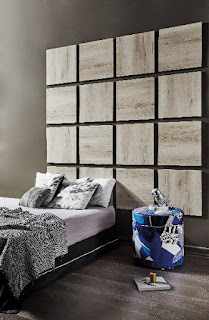 Adding different textures of wood to your abode adds both, drama and uniqueness to your living space. This ensemble simultaneously adds a touch of tranquillity to the entire view. While you might be attracted to vibrant and dazzling interiors, your bedroom is a place where you relax and take a break from an otherwise lively schedule. Therefore, from the dynamic and peppy colours, there has been a sudden shift towards bringing a cozier and softer vibe to your bedroom. You can fill your room with oversize plush chairs/ sofas or seating nooks and pair them with elegant oak wood veneers to heighten the sense of serenity and peace in your home. Be it soft pink, crisp cobalt or rich violet, these hues being the new neutrals, will turn your room into a sheer piece of beauty. Not a fan of changing the entire décor but some subtle modifications that make a difference? Contrasting two-tone interiors is the way to go! Two-tone décor works best with wood paired with statement hardware and gives character to your interiors. The best part of having two-tone decorations in your home is that you get the best of both worlds! One can experiment with bleached out real-wood and dark-textured woods to create a balance between your living room. This two-tone trend can also be used in kitchens making it feel airy without sacrificing storage. Using white for the upper cabinets, with dark or colourful lower cabinets to ground the space is how you master this unique trend. Florals are all a blaze this season and are a must-have for any trendy home. They create magic to your living room and can easily add spark to your décor with minimal effort. Amidst a perfect space with dark real-wood panels complementing a groovy grey throw blanket, vibrant blue floral cushions will add a touch of clarity and freshness to your sight. Florals have the power to effortlessly make your home look compelling and make you spellbound by their naturalness!